working outside my normal color scheme, experimenting with some stems from a new clematis grower. 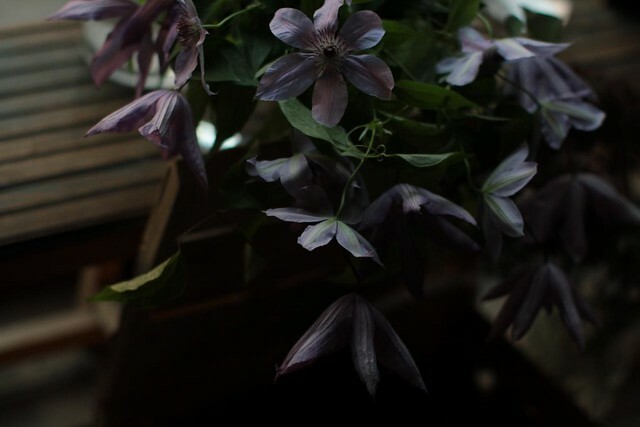 yes, the word clematis sounds like a venereal disease to most of us. can't wait to see what kinds of spam comments that little figment gets me. I planted a nice clematis next to my front door. My sweet old grandma stopped by one day and asked my husband what vine that was. He replied that is Michelle's clamedia. She luckily is hard of hearing and it went right past her. I peed my pants in laughter. I <3 clematis! 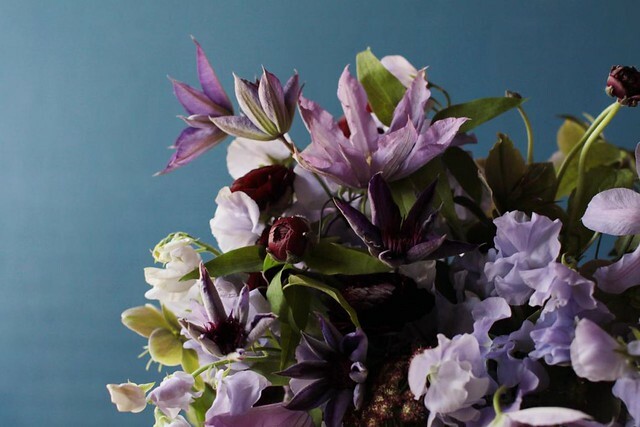 And I <3 clematis even more when you design with it! Beautiful! My hometown has a Clematis Street. Pretty flower, ugly name. 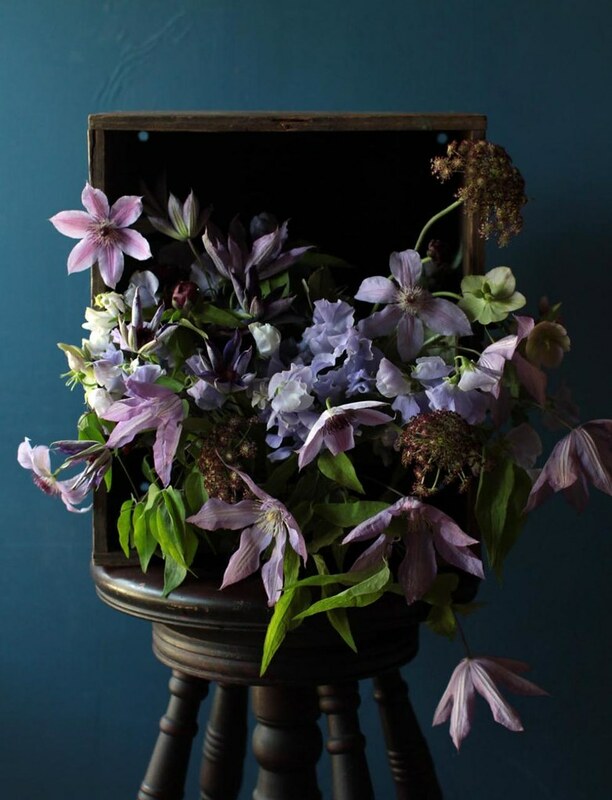 Oh, I love clematis. I have a purple one and my aunt has a double white one. It is so pretty with it's doubled white petticoat. Is that my arrangement? It looks like it! This is the first chance I've had to check in in a week! We are covered in paint, nursing Home\Made back to life! Hope to see you soon!